Dive into the 2nd annual Tybee Island Mermaid Fest presented by Tybee Vacation Rentals. to have a gay ole’ time! and an old school Tea Dance. 4pm - 7pm @ CoCo’s Sunset Grille. Join us for complimentary eats, special cocktails & your bar card pick up for the Tybrisa Twirl Pub Crawl. Pub Crawl prizes includes a Booze Basket from Absolut and Malibu, Pride gear & VIP passes for 2 to Savannah PRIDE, and a 2 night stay at the beach from Tybee Vacation Rentals. Purchase bar cards here or at Fannie's. What better way to end your night than with drag, pizza, and the biggest party on the island!!!! 12 noon - 5pm for the MERMAID FEST pier party and tea dance with DJ C-rock! Featuring live music, costume contests, local venders & fins!! Don't miss this - Tea Dances are the best! Bar Crawl Partners: Coastal Empire Beer Co. Headlining Mermaids: Blixunami the Geechee Merman, and Mermaid Coralia the Tybee Island Mermaid as well as about ten other mermaids. Need a place to stay? Quick, they're going fast! Check out our amazing partners at Tybee Vacation Rentals. Date: Apr 26 2019, 1 p.m. - 7 p.m.
Come hang out at this HUGE block party BBQ next to MWR HQ and Newman Fitness Center. 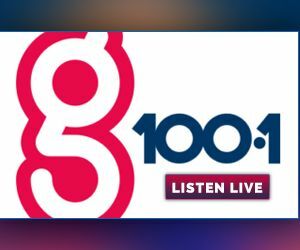 Enjoy music from special guest host, Mia, from G100fm who will be playing throwbacks all day. We will be hosting games and competitions all day with great prizes! On top of that, we will have sponsors in attendance who will be addin to all fun. Get up - get out - get down - get ready for a party!